People For the American Way’s Latinos Vote! 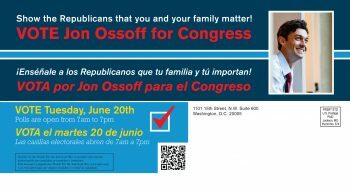 campaign holds Republicans accountable for their anti-immigrant, anti-Latino policies and rhetoric through radio, digital, and TV ads; direct mail; and community events throughout our target states. 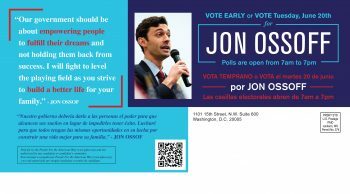 The multi-million dollar campaign has been a trailblazer in 501(c)(4) Latino vote work, in some cases by being the first independent expenditure Spanish-language ads in states, and in others being the only Spanish-language ad presence. 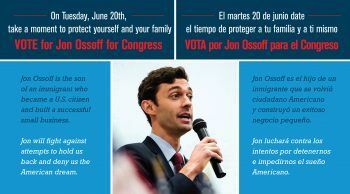 We hold events and run ads in states with historically close elections where Latino voters can be the margin of victory. Get the ad in Spanish. A version of each ad ran in Arizona for David Garcia; Georgia for Stacey Abrams; Nevada for Jacky Rosen; Texas for Beto O’Rourke; Florida for Andrew Gillum; Orange County, California districts; Virginia for Jennifer Wexton; and Wisconsin. #HurricaneofChange: Rita Moreno Encourages the Puerto Rican Vote! 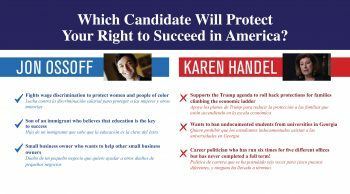 Which Candidate Will Protect You Right to Succeed in America?